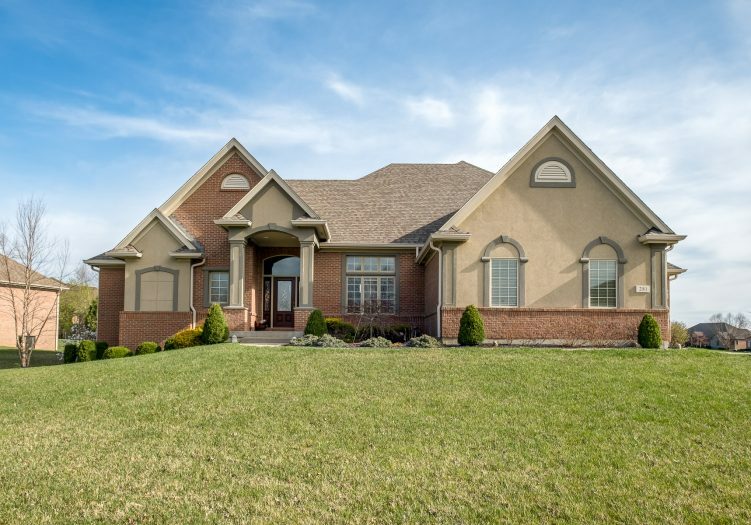 Home » Listings » Stunning Simms in Windemere! Stunning SIMMS Home in WINDEMERE! You’ll be wowed by the CURB APPEAL and even more impressed by the interior! A grand foyer with BRAZILIAN CHERRY floors leads to the great room with GAS FIREPLACE and transom windows. At the front of the home, a dining room features a TRAY CEILING and ARCHITECTURAL COLUMNS for interest! The chef’s kitchen boasts CHERRY CABINETS, an OVERSIZED ISLAND with seating, stainless appliances, GAS RANGE, tile backsplash, planning desk, and pantry! The owner will appreciate the FIRST-FLOOR MASTER complete with TILE SHOWER, huge closet, and dual-sink vanity. Upstairs, you’ll find two bedrooms, a full bath, and a GINORMOUS STORAGE CLOSET! A knock-out FINISHED BASEMENT offers a kitchenette with QUARTZ COUNTERS and STACKED STONE backsplash, a rec room, two bedrooms, and a full bath. Head outside to enjoy the patio, PERGOLA, fenced yard, and irrigation! NEW CARPET on main two levels (2019) and water heater (2018). Great location close to highways and THE GREENE!